During a press conference on Thursday, President Trump was asked about his initiatives pertaining to inner cities. As part of his response, Trump said he was supposed to meet with Rep. Elijah E. Cummings (D-MD) but the congressman canceled the meeting. Trump added, "...he probably was told by (Senate Minority Leader Chuck) Schumer or somebody like that, some other lightweight. He was probably told – 'don't meet with Trump. It's bad politics.'" In response, Cummings issued a statement, denying he canceled the meeting with Trump. It read, "I have no idea why President Trump would make up a story about me like he did today. Of course, Senator Schumer never told me to skip a meeting with the President." 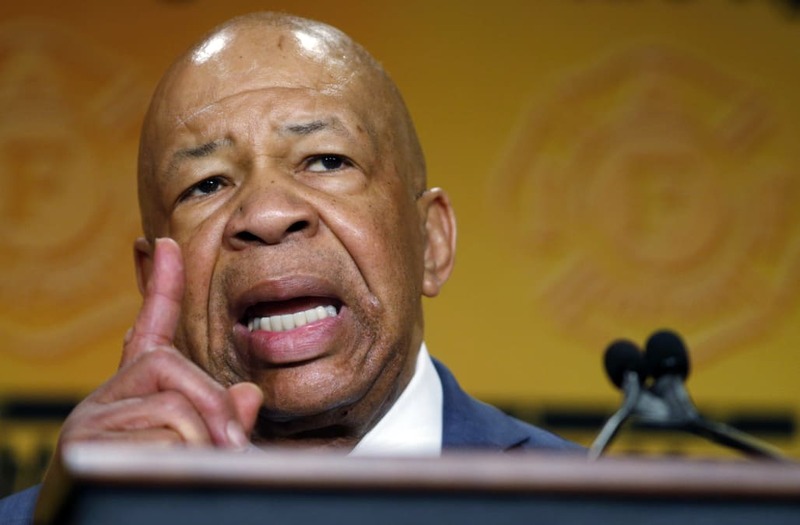 Cummings further noted, "I was actually looking forward to meeting with the President about the skyrocketing price of prescription drugs. What I have been doing for the past several weeks is working closely with my partner on these efforts, Senator Bernie Sanders. My goal was to finalize our proposal to allow HHS to negotiate lower drug prices so I could present it to the President." The president said in his remarks that the White House made repeated calls but the Maryland Democrat wouldn't meet with him. Trump commented, "I actually thought I had a meeting with Congressman Cummings and he was all excited. And then he said, well, I can't move, it might be bad for me politically. I can't have that meeting."